OK - I'm finally starting to get my act together. I'm finishing up some custom design orders and getting pictures taken of the gorgeous beads I picked up while I was visiting Murano Italy. Here's a design I just finished up using my favorite of all the beads I got there (they have purple and gold - what more needs to be said!). The Viola Wrap bracelet with these gorgeous venetian murano beads and ametrine is available in my ArtFire studio. I won the monthly drawing by Magpie Gemstones for free beads last month and I finally caught up enough to take pictures and share them with you! I haven't had time to make anything with them - but that will happen soon - after I finish up some custom orders. Here are the fun beads and split rings she sent. I think I have some wonderful Kazuri beads that will go nicely with the brown lava and I'll accent them with copper beads. 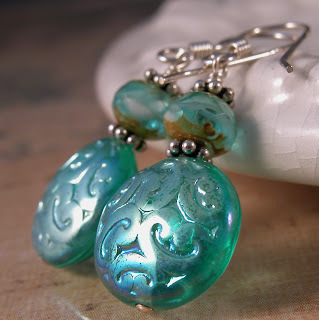 Turquoise goes with so many things! I just have to decide what I'll combine these with. Finally back from traveling and I'm published again! And here we are digging through just some of his many boxes of beads! 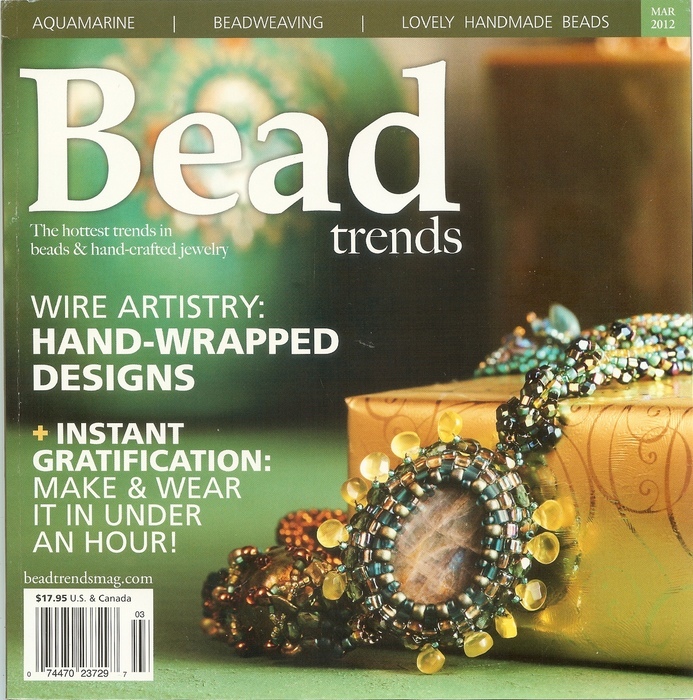 When we got back from Italy a copy of the March 2012 edition of Bead trends magazine was waiting for me in the mail. 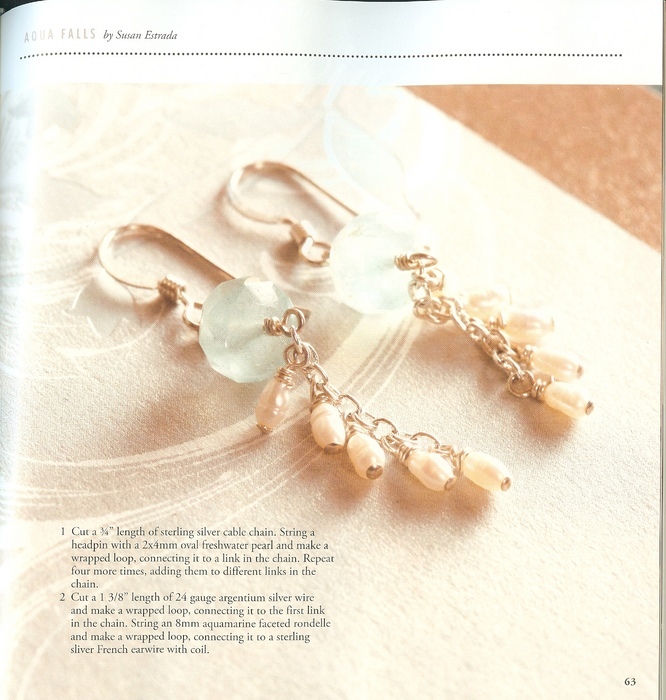 My Aqua Falls earrings (with aquamarine rondelles from Magpie Gemstones) are published in this edition and here they are! 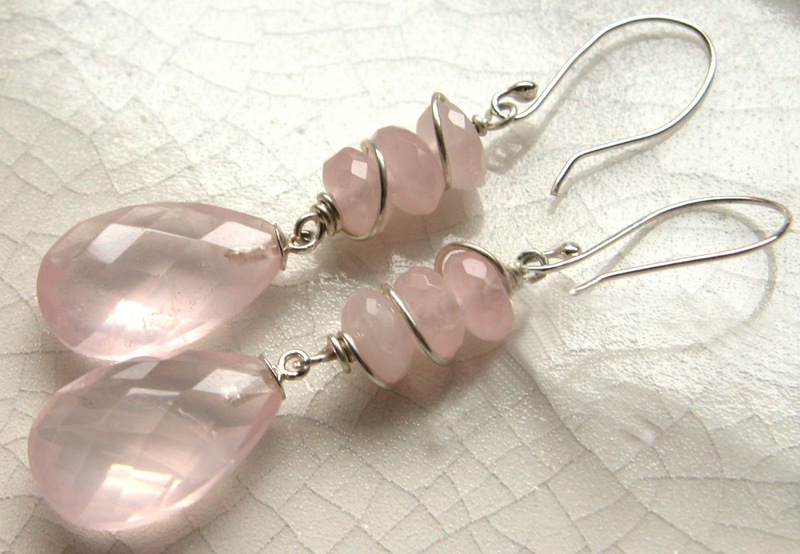 I'm working on some custom design requests and on some new designs to sell at Gili Anna's in La Jolla. Those will be showing soon on my gallery and Gili Anna pages!